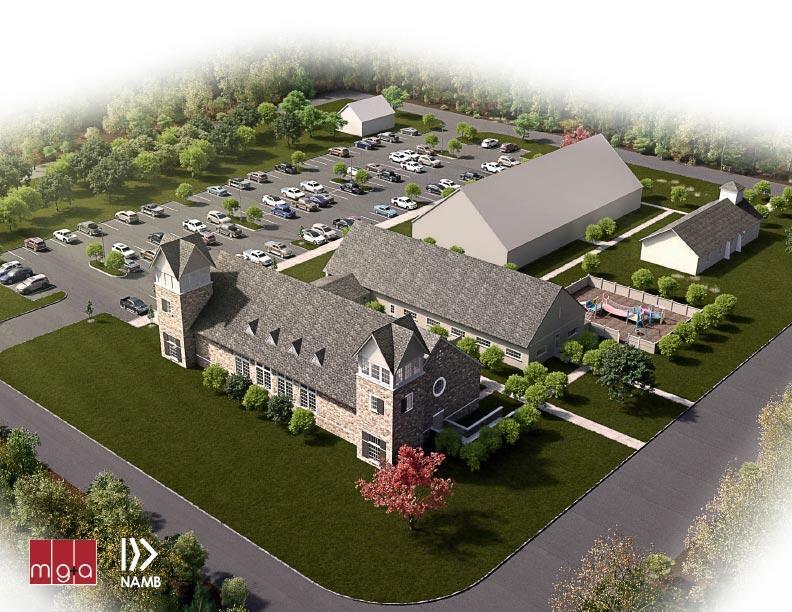 First Baptist Church Sutherland Springs will undertake construction on two new buildings beginning in May. 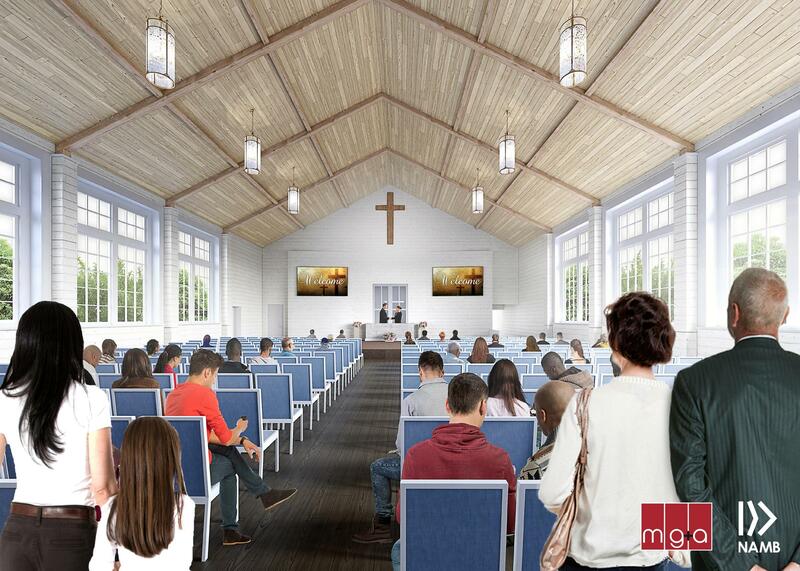 The buildings — a worship center and an education building — will be completed in early 2019. 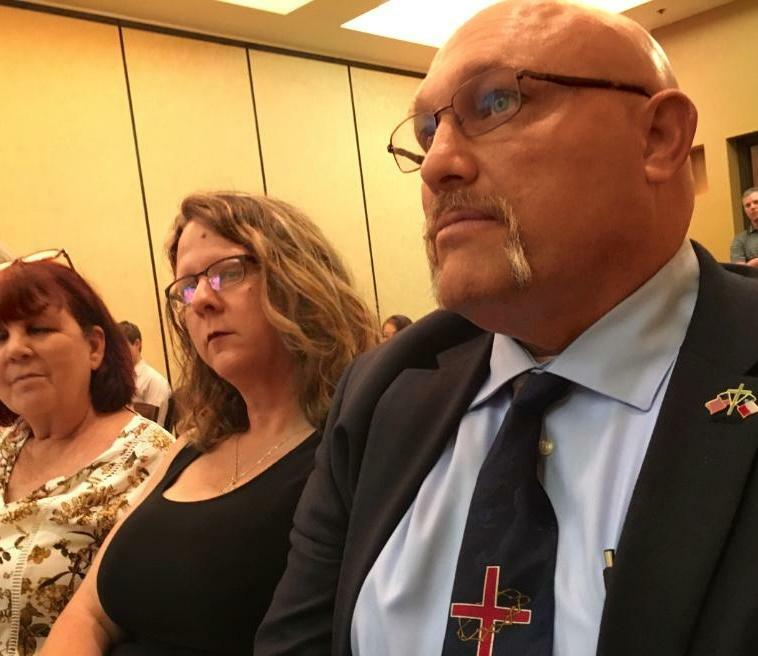 First Baptist Church's pastor Frank Pomeroy and his wife Sherry Pomeroy watch a presentation Tuesday night in San Antonio about the construction of a new church. “We are in the midst of a celebration — this is the week that is leading up to Easter, and what better way to celebrate resurrection of the Lord than the resurrection of a new church being presented,” he said. 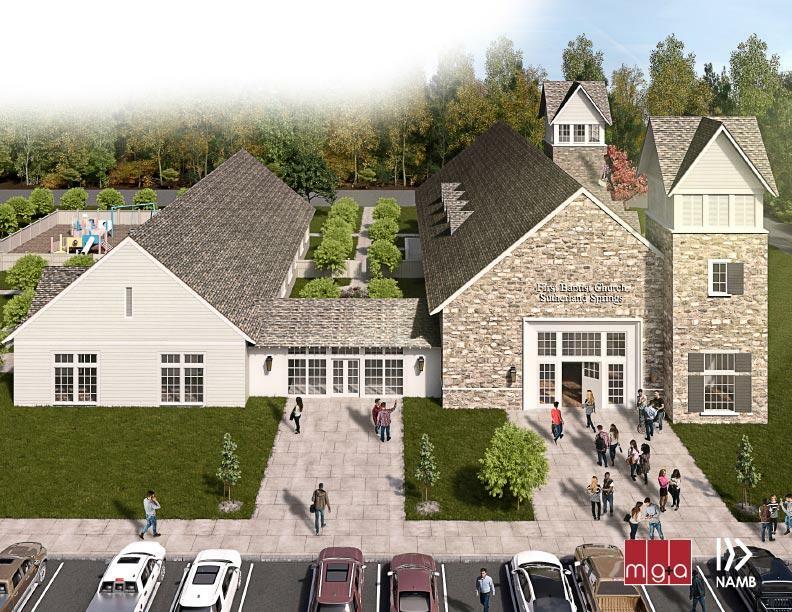 The renderings he unveiled show a sanctuary with two towers and an adjacent education center — about 14,000 square feet. In between the two buildings, a memorial prayer garden is planned. Church officials also plan to hang paintings of all 26 victims of the shooting. This is phase one of the nearly two acre property. Pomeroy says the new building will be a beacon for a community that’s still healing. “This building is going to represent not what the world talks about — the hate and the ugliness — but what Paul taught, and he said love never fails,” he said. The project is expected to cost about $3 million, and will be funded through donations. The North American Mission Board, a division of the Southern Baptist Association, is overseeing the project and will provide any remaining funds if donations fall short. Development and construction is being managed by Myrick Gurosky and Associates. A bell that hung inside the original church will be in one of the new bell towers. Sherry Pomeroy, the pastor's wife, said children loved ringing the bell at the beginning of the church service. Annabelle, the Pomeroy’s 14-year old daughter, died in the shooting. It’s unclear what will happen to the current memorial sanctuary. Groundbreaking for the new sanctuary is set for May 5, exactly six months after the shooting. Donations for First Baptist Church’s new sanctuary and community center are being accepted at the Restore Sutherland Springs website. After Sutherland Springs, How Do We Cope With The Trauma Of Another Mass Shooting? On November 5, a peaceful Sunday morning church service became the scene of a targeted mass shooting in the small town of Sutherland Springs, about 30 miles east of San Antonio. 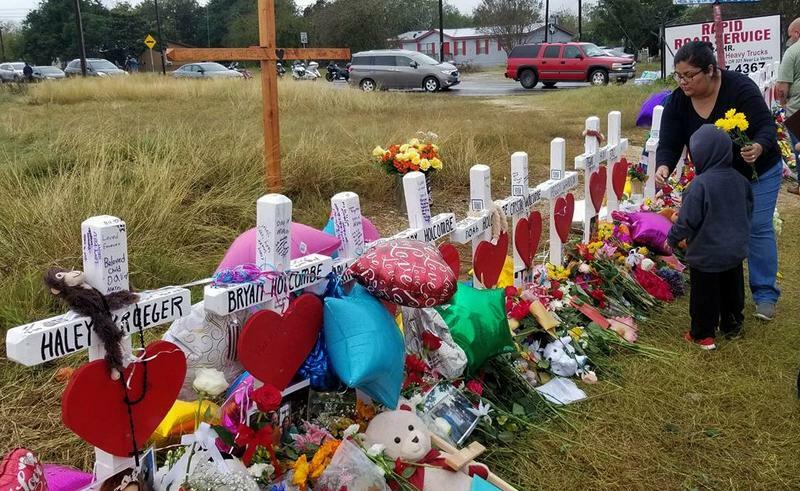 First Baptist Church in Sutherland Springs is more than a church for many residents: It’s a place many marked life’s major events. That was the case for Lagena Garcia, who lives just a block away from the church.